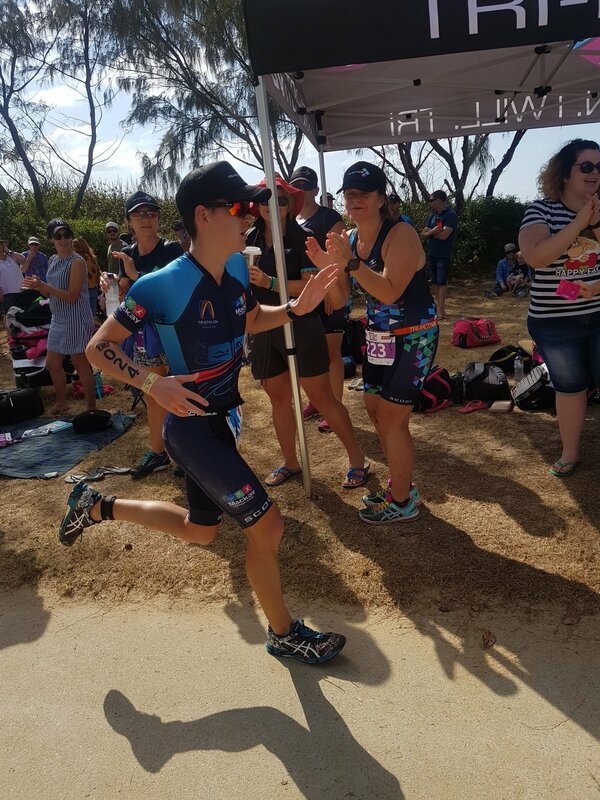 The Mackay Tri Festival is always a highlight on our racing calendar. There is nothing quite like a hometown race – what a luxury to not have to travel and be able to wake up in your own bed in the morning! Race director Jenni Baily must have been chatting to the weather gods, as Mackay served up fantastic racing conditions for all competitors. 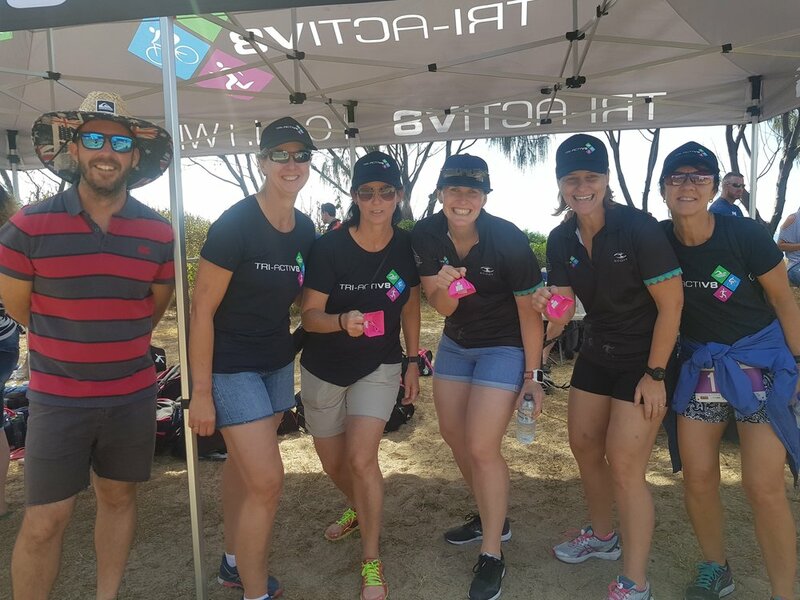 The Mini Kids Tri is a fun event for children aged between 7-12, encouraging them to be active and healthy where the focus is on completing, not competing. Our super kids swam 100m, rode 3km and ran 500m to the finish line and their very proud parents. We had so much fun cheering them on and hope they all enjoyed the event. Congrats to all our V8 kids, you guys rock! We had 9 teams participating in the Corporate Triathlon on the Saturday afternoon. 8 of those teams were comprised of our inspiring Women’s Only participants, and all competed in the non-corporate category. The distances were 400m swim / 13km run / 3.5km run. 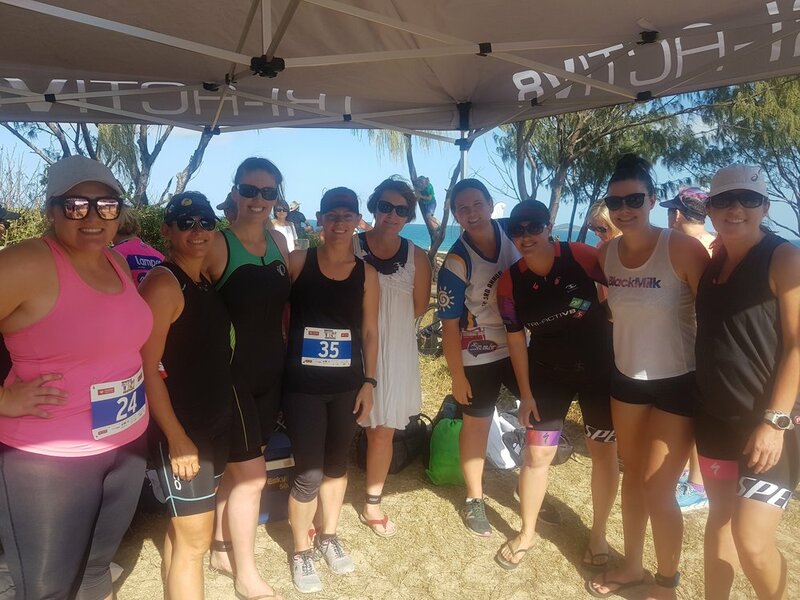 For some of our ladies this was their first triathlon event and we couldn’t be prouder of the display of camaraderie, confidence and enthusiasm that was on show on Saturday afternoon. Congratulations to all of our V8 athletes, old and new, on your race. We are excited to watch our Women’s Only athletes grow in ability and can’t wait to see you smash your race come October 22nd. Everyone had a great morning spectating, cheering and racing, with great results achieved by everybody across all distances. Congratulations to the Mackay Triathlon Club on another excellent Festival. It’s so great to see this event go from strength to strength every year. First in the water on Sunday morning were our regular V8 kids - Bella, Cam and Phoebe. All three produced awesome results in a strong field. Well done to our next generation of triathletes. We had a total of 13 athletes testing themselves in the Sprint Distance Tri. 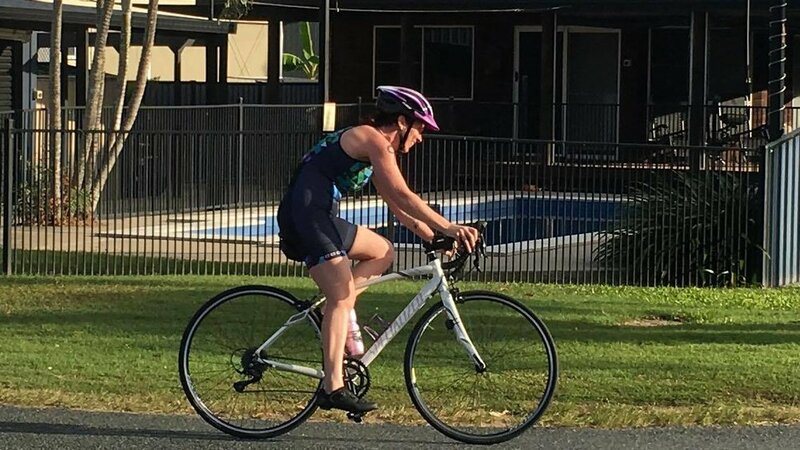 Some made their debut at the distance whilst others used it in their build towards the Noosa Triathlon in November. Some fast times were recorded and plenty of finishing line smiles. Once everyone finished their race they joined the V8 cheer squad for our Olympic Distance athletes. 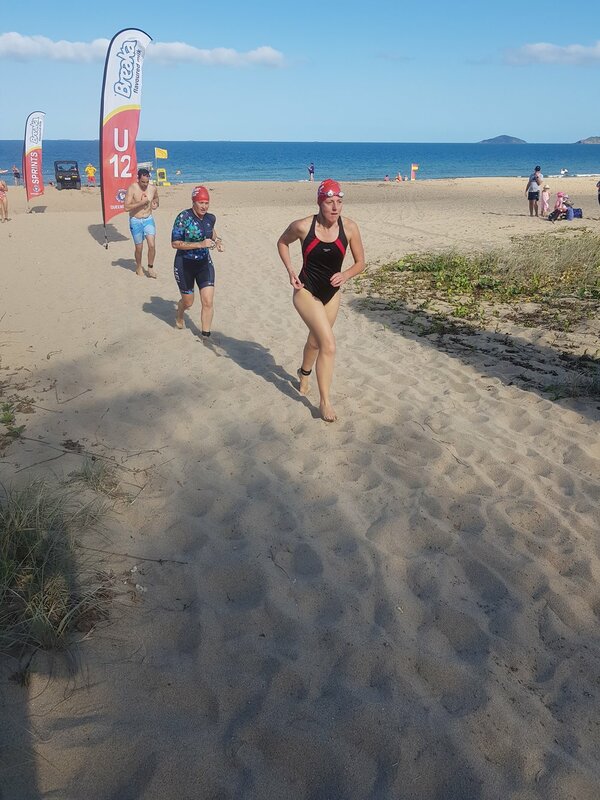 A huge shout out to Melissa Counsell for completing your first sprint tri after stepping up from the enticer at Airlie Beach under 1 month ago and also Jane Young for completing her first triathlon since having daughter Maeve last year. Congratulations Robbie, Ken, Terry, Adam, Murray, Jane, Melissa, Ulrika, Jacqulyn, Kath, Carissa, Rose and Lisa on a race well done. 15 inspiring V8 tribe members raced in the Olympic Distance Tri on Sunday. The two-lap swim course produced some speedy times thanks to the calm water and great visibility. We also had a mix of debutants and old hats racing this distance, with everyone giving it their all to race home to the cheers and ringing bells of the V8 support crew. Congratulations also to Kerryn McDuff, Emily Dalglish and Renee Cross for their debut into Olympic Distance. Super strong performances by Leanne, Kristen, Dwayne and Natina.